Many types of sports today have an option for a competitor to challenge a ruling made on the field, and to have that ruling analyzed again. Appeals of court rulings are not exactly like that. In the law, a lot of rulings by trial courts are entitled to a certain degree of deference, meaning that many appeals can only be successful (and the underlying ruling overturned) if that lower ruling was clearly unreasonable. What this means for you is that it is of paramount importance to be sure you are putting on your strongest possible presentation and arguments when you appear in the trial court, because it is a lot easier to argue for affirming your successful result than to argue to an appeals court for the reversal of an unsuccessful result in the trial court. To be sure you are making that strongest possible case, be sure you have representation from a skilled Louisiana injury attorney. An example of how this process worked, and how one family won their injury case, was the accident involving a fifth-grader named C.T. C.T. and his seventh-grade brother were running near the edge of their front yard when a neighbor, S.M., struck C.T. with her SUV. Although the harm C.T. suffered was not life-threatening, he nevertheless suffered substantial injuries, including a concussion, a badly bruised leg and a hairline fracture of his hip. Due to the injuries, it took the boy 1-2 months to return fully to normal activities. 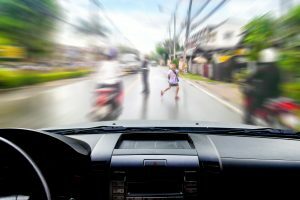 Read more about auto accident law in Louisiana. C.T.’s father sued S.M. and her auto insurer. The case proceeded as a “bench trial,” which means that the case was decided by a judge and not a jury. The defense’s primary argument was that the boy was to blame for the accident, as he “suddenly and without warning” ran into the path of S.M.’s SUV, and did so too late for the woman to avoid crashing into the child. After both sides presented their evidence to the court, the judge entered a ruling. The judge found S.M. 100% at fault for the accident and awarded almost $30,000 in damages to C.T.’s father. The woman and her insurer appealed. They argued that they had done a credible job presenting evidence at trial showing that the boy abruptly and unexpectedly darted toward the SUV, and that this evidence should have led the judge to find the boy to be either fully, or at least partially, at fault in causing the accident. The appeal did not succeed, and the trial court’s judgment and damages award remained in place. The outcome of this case is very important and instructive regarding how the legal process works, and why achieving success at trial is so important. There are two types of reviews that an appeals court can do. One is called “de novo” (which is a Latin phrase that loosely translates from Latin into Southern vernacular as “from scratch”). Courts only do this type of review if the appealing party is arguing that the trial court made some sort of error of law, whether that’s a statute, case law or rule of procedure. On the other hand, if your appeal focuses on challenging some sort of factual finding the trial court made, it is very different. It is not like challenging an umpire’s decision in baseball or tennis. In the legal scenario, the appeals court simply asks, “is there any reasonable way that the trial court could have reached the decision that it did?” If the answer is “yes,” then the appeal fails. This is often a high hurdle to clear. That’s why making sure you have the right counsel, and the right case presentation, at trial is so important. If you’ve been hurt in a vehicle accident, reach out to the Cardone Law Firm, where our experienced Louisiana injury lawyers have spent many years providing our clients with skillful representation to achieve positive results.